I began my professional dj career in New York City at the infamous Club New York in 2002 for Velvet List promotions when vinyl was en vogue. I’ve since enraptured dancefloors, lounges, bars restaurants, cinemas and event spaces including Chetty Red, Sin Sin Lounge, The Asia Society, Cammaradas El Barrio, The Den Harlem, Nectar, Mojo, SIP, A-Loft W Hotel, Landmark Sunshine Cinemas, Tian, Bier International, the Cedar Lake Ballet Company and Harlem Tavern; not to exclude my roots at sweaty house-parties in Brooklyn, Long Island, Queens and Harlem spinning afrobeat, pop, hip-hop, soul, reggae, r&b, salsa, soulful/roots house, 70’s, 80’s, 90’s, jazz, and funk. My name is derived from the detail, passion and manual labor that I exude to reach perfection for a party or mixtape. My affection for music stems from growing up in Los Angeles and being exposed to a 24/7 hip-hop format on 1580 KDAY during the pre-golden and golden-era of hip-hop when the R&B stations, KJLH 102.3 FM and KACE 103.9 FM played sweet-soul & r&b when it too was en vogue, and yet blatantly boasted that they refused to include hip-hop in its format. So to hear the mosaic of beautiful music in Los Angeles, I was always turning the dial in my mother’s burgundy Buick Regal between the so-called “urban,” “contemporary R&B” and “pop” stations. While attending Wesleyan University in Middletown Connecticut, I witnessed the legendary Bobbito Garcia 91’ spin afrobeat; saw the Last Poets and Sonia Sanchez perform on account of an invite from Santigold (then Santi White 96’); met now Fela Kuti biographer and Yale Professor Michael Veal 01’ (then an ethnomusicology Ph.D candidate); witnessed Kabir Sen 99’ kick numerous freestyle ciphers, blossom into the funk band Uncle Trouble and now performs as solo-independent hip-hop artist; was an avid fan of the dj duo Reach and the Sundance Kid, currently Dj Reach 01’ & Jahi Lake 01’ (no longer a duo) and was close personal friends with one of the illest unsigned MC’s I ever met Ben Crease (posthumously 99’) and who forever influences me till this day. 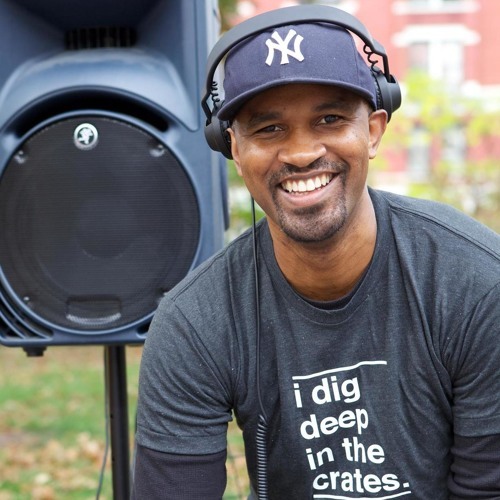 Moving to New York has been the culmination of my experiences rotating my mother’s radio dial to find that “perfect beat” and the multi-faceted “Wesleyan - encounters.” From making the perfect mixtape to perfecting the perfect party, I’m that dj to incorporate just enuff “elbow grease” to make it happen.